It is certainly going to be the most watched spectacle around with two heavyweights England and India fighting it out in a five-match Test series. India will be keen to win a series in England as Virat Kohli and co. would aim to go one better this time around. India has been a dominant force at home and beaten top-ranked sides like Australia, England, and South Africa. In the past, the side has not done that well overseas in places like England and Australia. Earlier this year, Virat Kohli made some tactical blunders that cost them the series in South Africa. Now they have fantastic chance to win a series in England which has been poor in recent times in Test Cricket. In 2014, India won the second game at Lords but could not keep up the winning momentum as they lost next three games by big margins to lose the series. 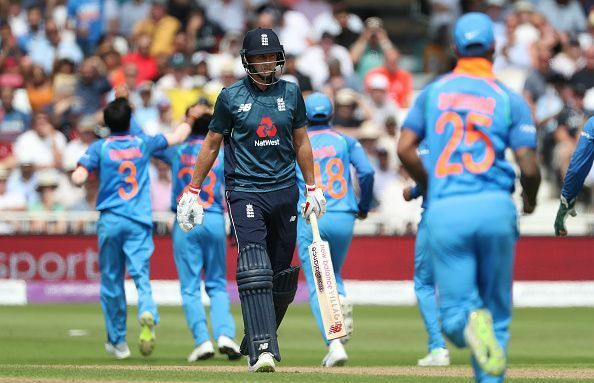 Here are some of the key battles that can decide the fate of the series between England and India this summer. Ajinkya Rahane is the most accomplished player in overseas conditions after Virat Kohli. He has scored hundreds in Australia, England, and Sri Lanka. Yet, his numbers are not that impressive when it comes playing at home as he averages 32.87. Rahane will hold the key in India’s middle order and will need to counter the spin threat posed by Moeen Ali. In the past, critics have dubbed as being vulnerable against spinners but his mesmerizing performances against South Africa in Delhi and twin tons in Colombo clearly show that he can adapt and excel in conditions that offer considerable assistance to spinners. 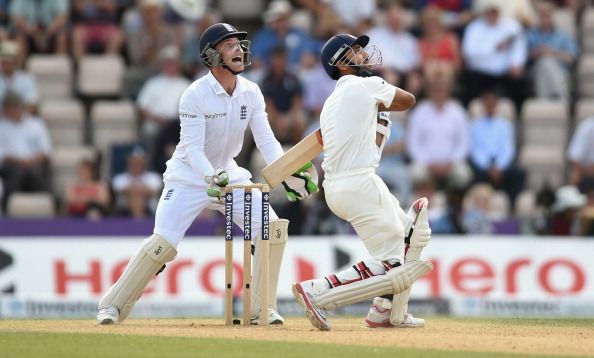 England will be keen to bring in Moeen Ali early with Ajinkya Rahane at the crease. The right-handed batsman does tend to be a little vulnerable in the early part of his innings. England will want to exploit that in order to make inroads into India’s batting lineup. Moeen Ali has had some success last time the two sides met in 2014 in England and dismissed him two times. It seems that many believe that Ajinkya Rahane is much better player of pace bowling than spin. It will be an interesting battle as both will try to outdo each other in the coming five-match Test series. England vs India 2018: Ajinkya Rahane will be keen to do well against Moeen Ali. Joe Root is one of the finest players of spin in the England setup. He will certainly be challenged by the likes of Ravichandran Ashwin and Kuldeep Yadav on surfaces that might offer turn for the spinners. Root holds a superior average against India pace bowlers that consists of Ishant Sharma and Mohammad Shami. He has been troubled by genuine quick bowler as Mitchell Starc did in Australia and Tim Southee in New Zealand last year. India will be hoping that their spinners can provide breakthroughs to help them control the proceedings against England. Kuldeep Yadav has caused problems to Joe Root in the recently concluded one-day series. Yadav will be a handful if he gets some sort of assistance from the surface. Left-arm Chinaman will need to bowl a little quicker in order to put doubt in the minds of English batsmen. For India, Ashwin or Yadav might be the most preferred option to dismiss Joe Root for a low score. Virat Kohli has certainly achieved a lot in his cricketing career but if he will certainly be keen to make amends for his poor record in England. Kohli averages just 13.40 in the country after a horrible series with the bat in 2014. Many cricket pundits feel that Kohli is vulnerable on pitches that offer swing and seam movement. But he has produced runs on green pitches in South Africa and Australia to prove that he can excel in all conditions. He will be keen to do well in England in order to silence all his detractors. He has certainly made adjustments to his techniques and is much better batsman then the one in 2014. James Anderson has enjoyed success against Virat Kohli after dismissing him on four occasions in the 2014 series played in England. 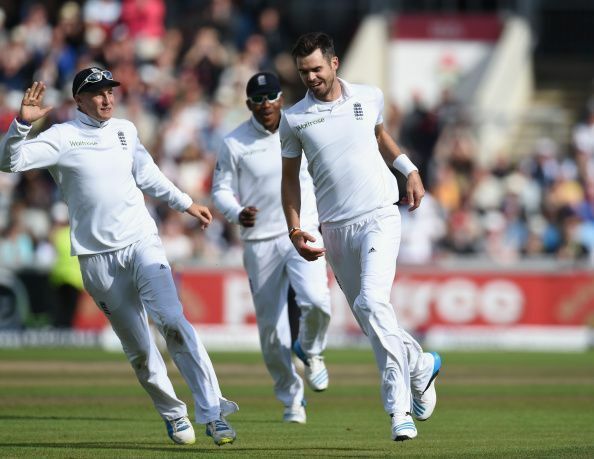 Anderson has been in phenomenal form at home and has taken 78 wickets at an average of 15.12. Virat Kohli vs James Anderson will certainly decide the fate of the five-match Test series. England will be hoping that Anderson can dismiss Kohli as quickly as possible to put pressure on India’s middle-order. It will certainly be a great contest as Kohli will be determined to prove that his failures on the previous tour were just an aberration. The battle between Kohli and Anderson will ultimately decide which team will prevail in the five-match Test series.